Film has a uniquely powerful ubiquity within human culture. As we finish the countdown to the Oscars it makes sense, says Material MD Gillian McCormack, to look at Hollywood and the stories it tells to gauge what resonates with audiences across the world. Global brands and their creative agencies often cite film and the storytellers behind them as inspiration. But they need to sit up and take note of how the great auteurs of the film industry are creatively reimagining storytelling for a new audience which has a growing appetite for honest, powerful tales. An appetite demonstrated in this year’s nominations for the Oscars Best Picture, a list that values true stories alongside pseudo dramas and confected creativity. Of the eight nominations for Best Picture, four were based on true stories: The Imitation Game, The Theory of Everything, American Sniper and Selma. A fifth, Boyhood, is not quite a true story but stretches the conventions of cinéma vérité to create the illusion of truth. 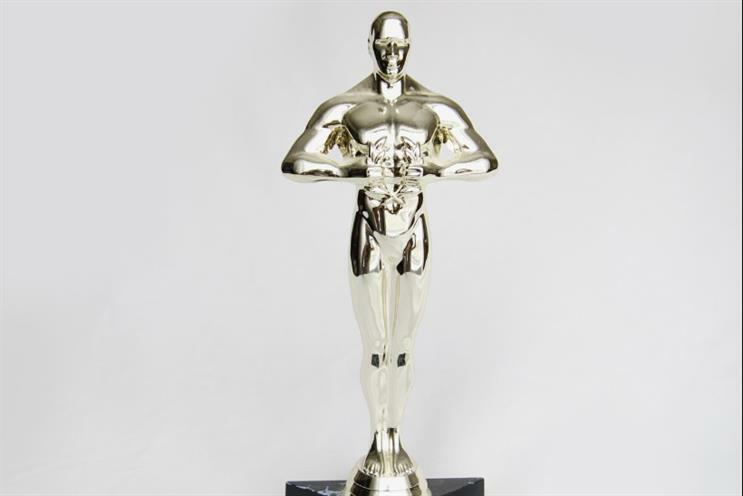 The trend for truth at the Oscars reaches back at least until the previous year when 12 Year’s A Slave took home the Golden Statue in a category that featured Dallas Buyers Club, The Wolf of Wall Street and Captain Phillips. If that doesn’t highlight a shift in storytelling, then let Robert McKee explain it. The most sought after screenwriting tutor in the world, McKee’s former students were this year nominated for a total of 20 Oscars. He says: "A culture cannot evolve without honest, powerful storytelling. When society repeatedly experiences glossy, hollowed out, pseudo stories it degenerates. We need satires and tragedies, dramas and comedies that shine a light into the dingy corners of the human psyche and society." A few leading brands and organisations are already embracing the power of truth to engage with customers. Unilever is one example. Marc Mathieu, its global SVP for marketing, said that "marketing used to be about creating a myth and selling and now it’s about finding a truth and sharing." Putting this into action, Unilever created sustainable living platform Project Sunlight, interviewing ordinary people in the form of a social experiment documentary that sought to discover truths and insights, as opposed to creating advertising to promote a self-serving point of view. Unilever had already proved to be adept at truthful storytelling with its "Real Beauty Sketches" campaign for Dove. The campaign went everywhere, it was powerful, it was moving but most of all it was honest. It featured real women with their real hang-ups and it was something that women everywhere could identify with. Procter & Gamble’s #likeagirl campaign for Always had similar strengths. When asked what it means to run, fight and throw "like a girl," the real adult women, man and young boy in the spot interpret the phrase as if it’s an insult. However, the young girls interpret "like a girl" in a much more empowering way. This powerful truth has resulted in more than 80 million video views, shared by more than 1.5 million. Another powerful brand attempt at truthful storytelling was Airbnb’s "Wall and Chain". The brand brought to life the true story of guards from opposite sides of the Berlin Wall in an animated short. The film proving to be a testament to the power of hospitality and resilience of the human spirit. While these examples show brands that understand the power of truth, the brands that have won their own equivalent of a Gold Oscar, too few have embraced this approach. They should look to Hollywood and present their own truths and those of others in their storytelling.